Only last week, the SP had announced Ram Bhuwal Nishad as its candidate from the prestigious Gorakhpur seat. 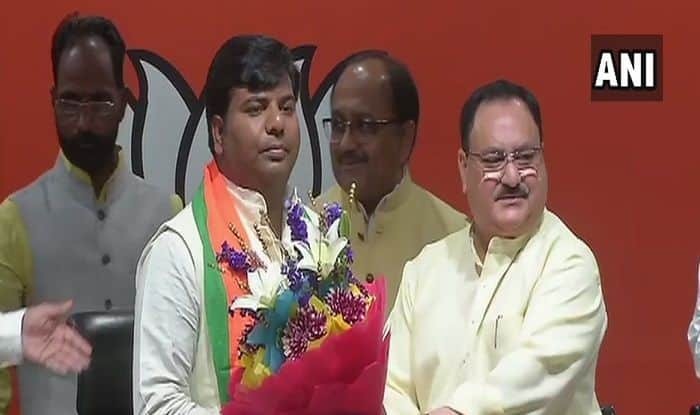 New Delhi: Nishad Party (NP) member and Gorakhpur MP Praveen Nishad joined the Bharatiya Janata Party on Thursday. The NP has also vowed to support BJP in Uttar Pradesh in upcoming Lok Sabha elections. This adds fuel to the allegation by the Samajwadi Party (SP) that the NP had been paid Rs 50 crore by UP Chief Minister Yogi Adityanath to back the saffron party. Ram Bhuwal had been a two-time MLA from Kaudiram Assembly seat, now Gorakhpur rural, and had also been the fisheries minister during BSP chief Mayawati’s government in 2007.